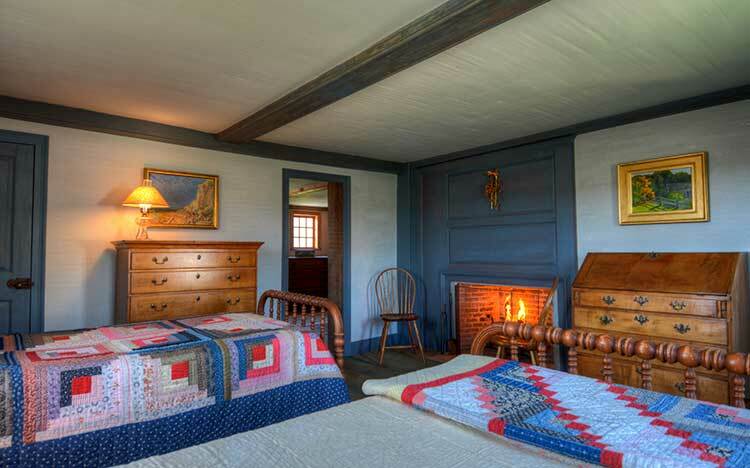 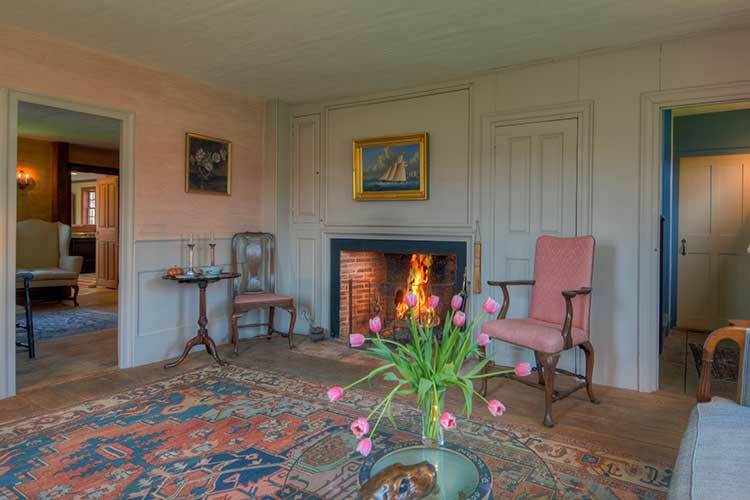 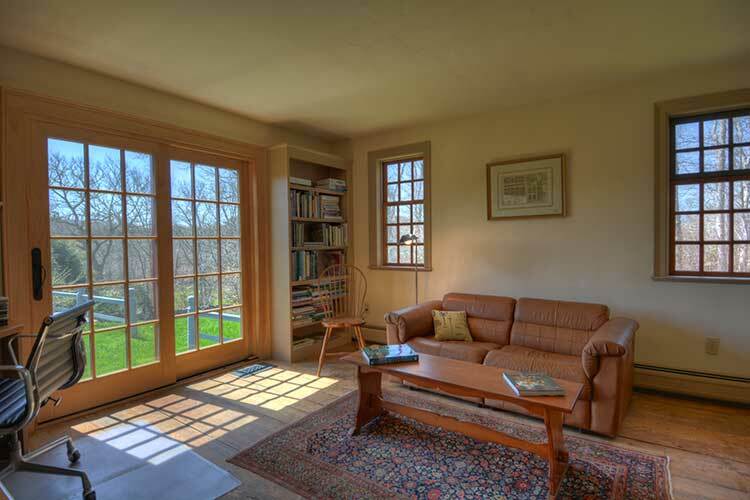 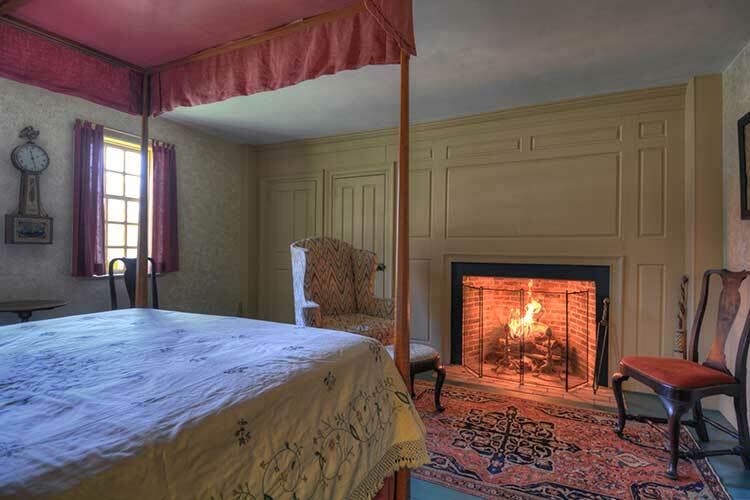 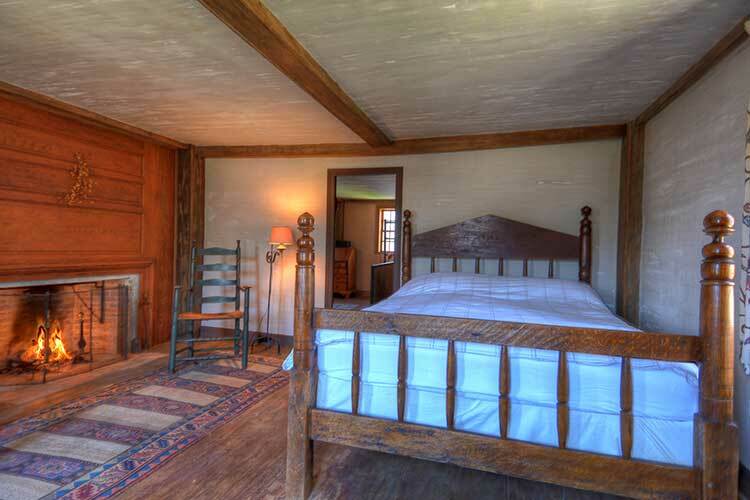 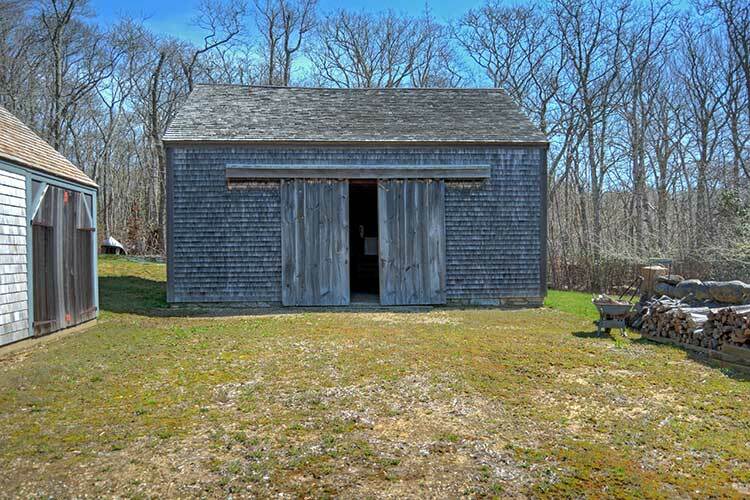 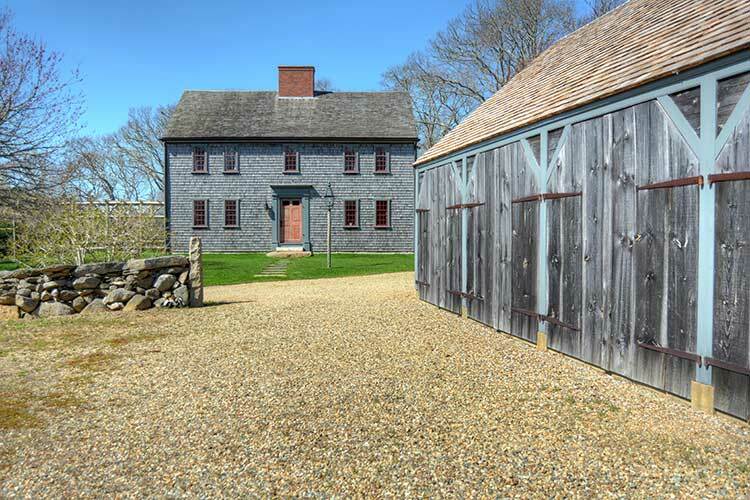 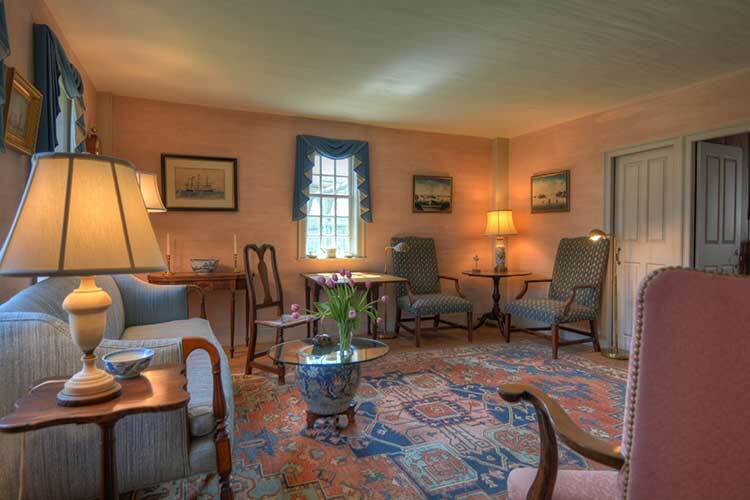 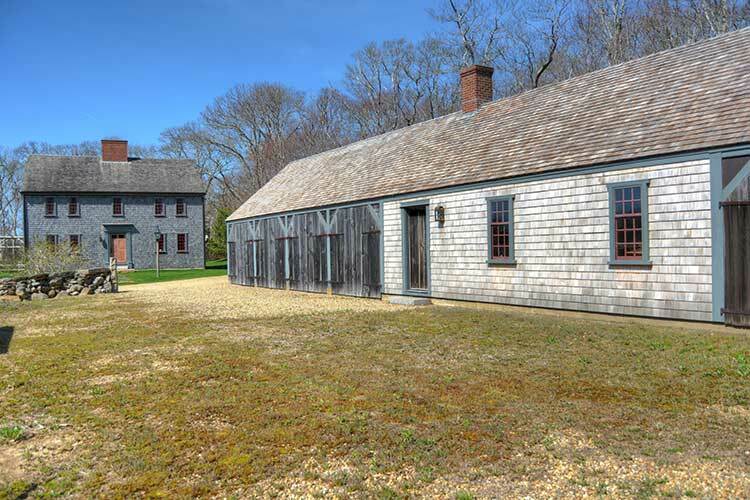 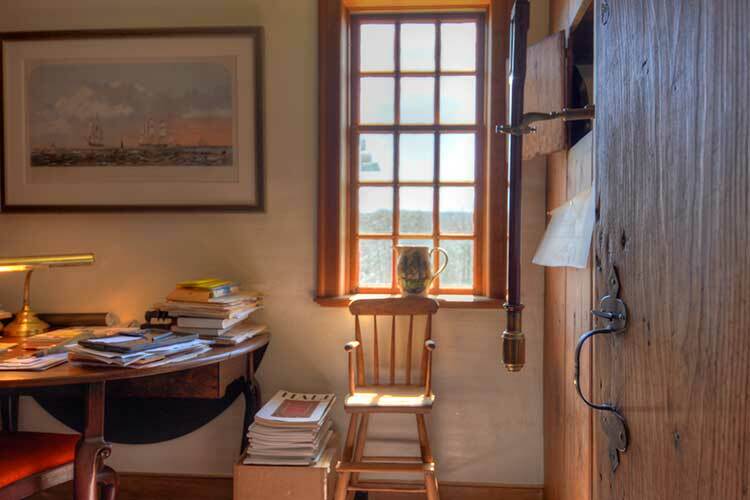 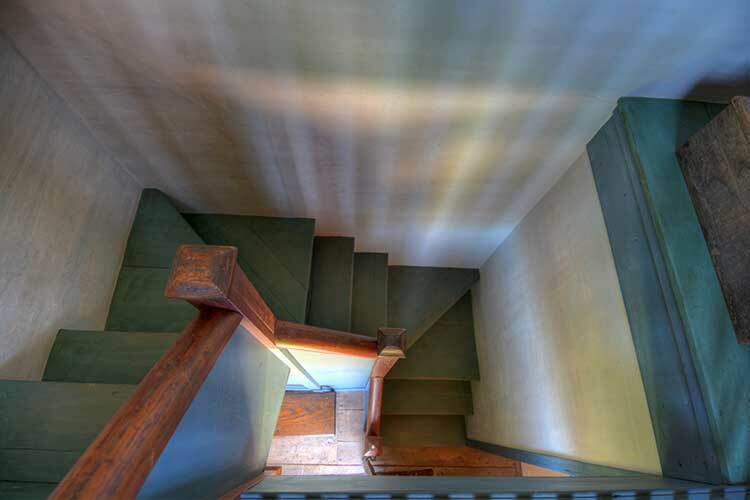 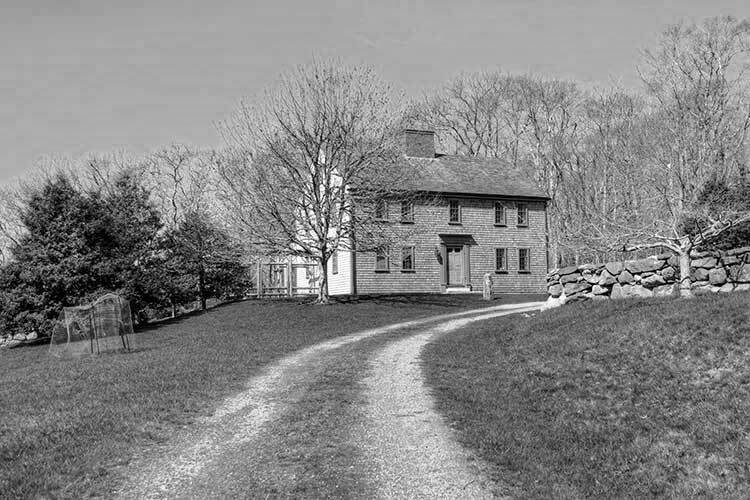 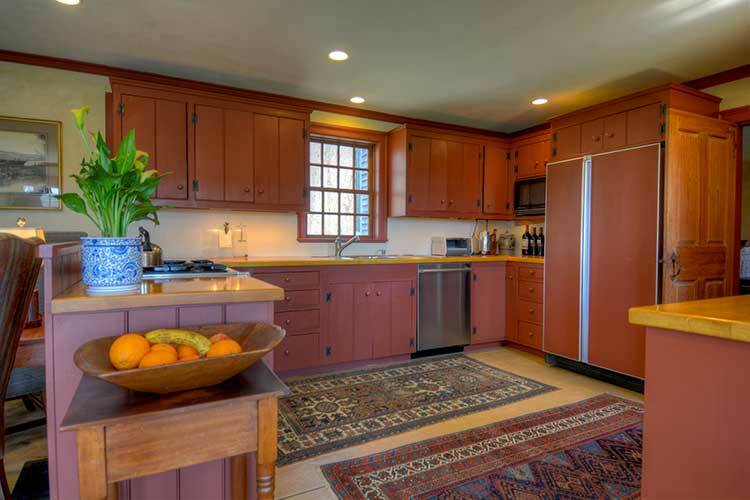 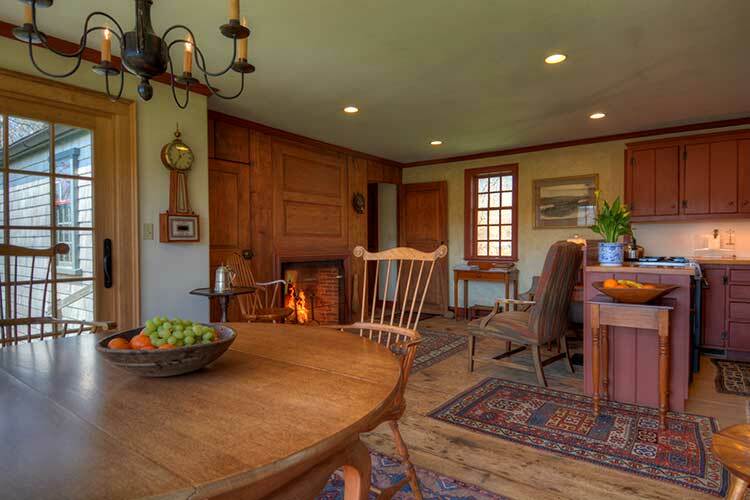 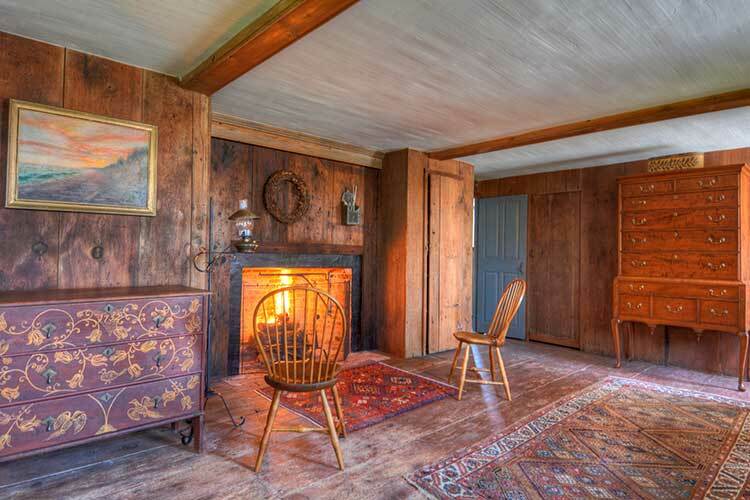 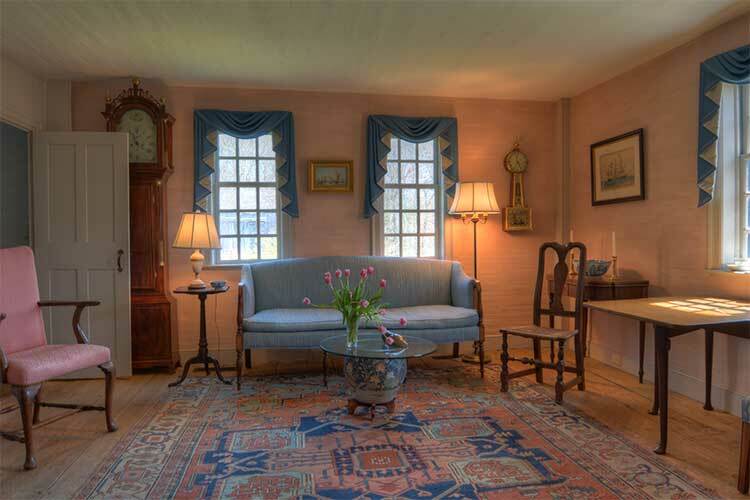 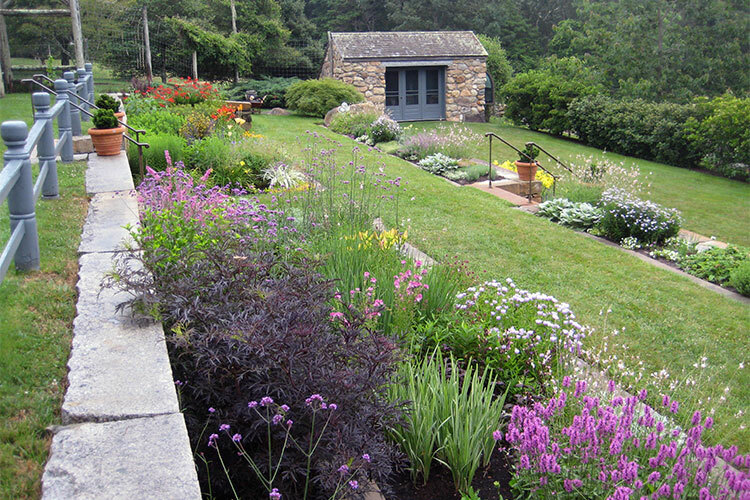 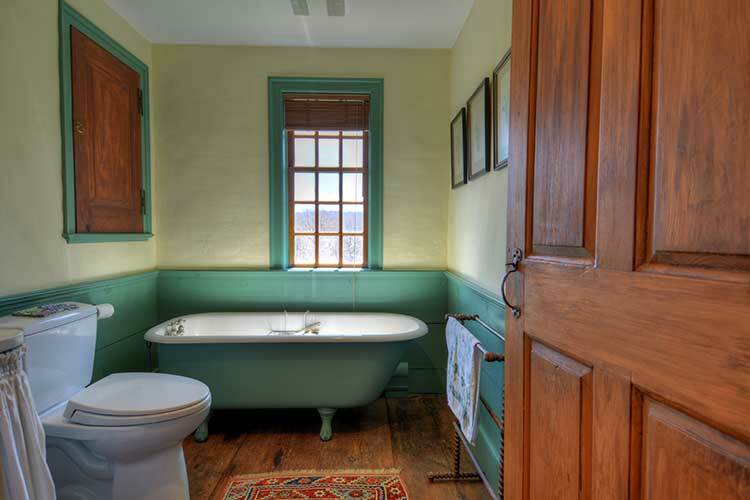 The Jethro Athearn Homestead, circa 1735, is a two and one half story, center-chimney home, relocated from West Tisbury, sensitively restored and updated for modern living in the 1990’s. 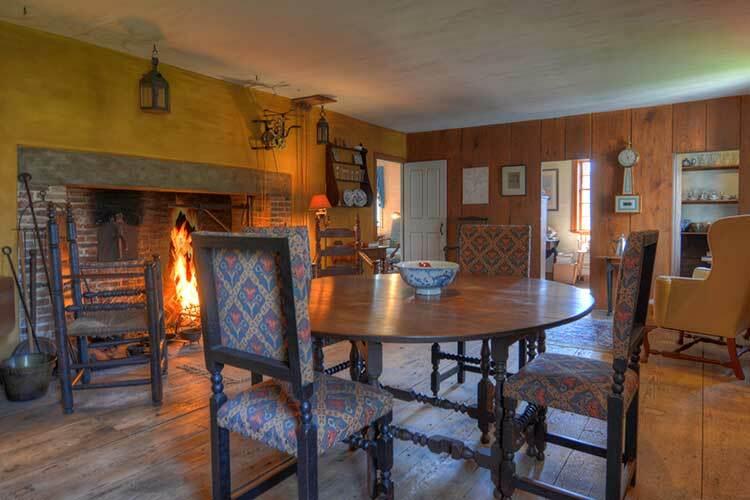 This five bedroom, three and one half bath home sits on three private acres off North Road, once part of the actor James Cagney’s estate. 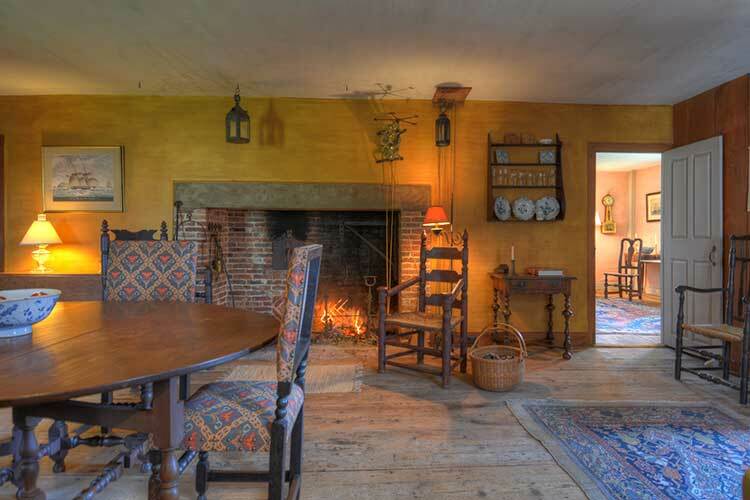 Period features include seven working fireplaces. 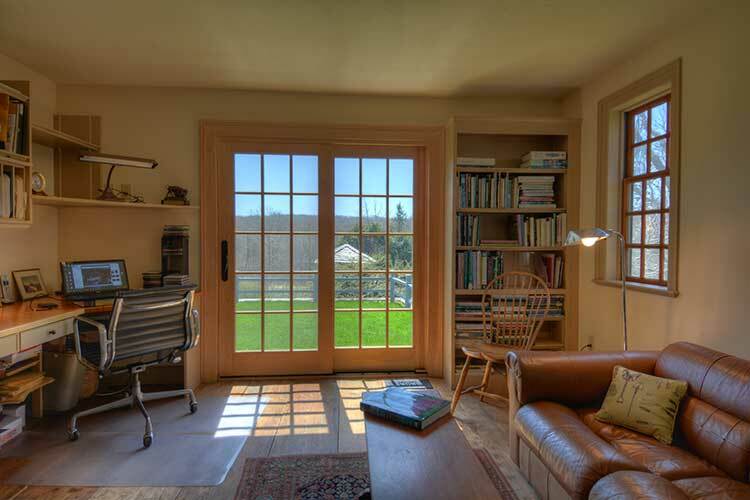 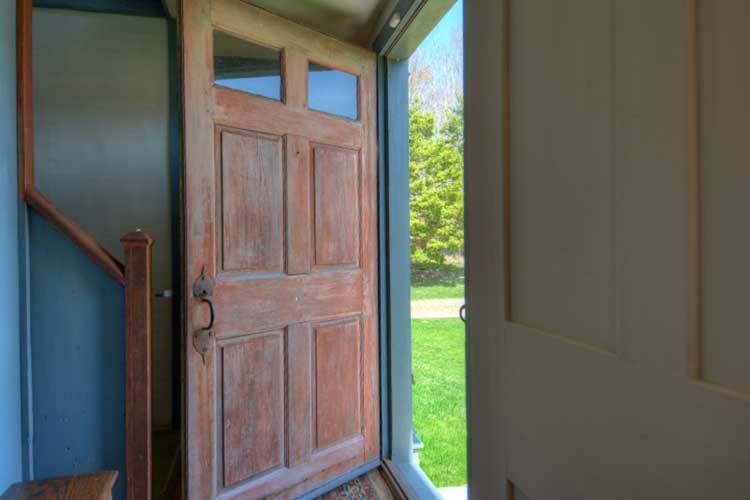 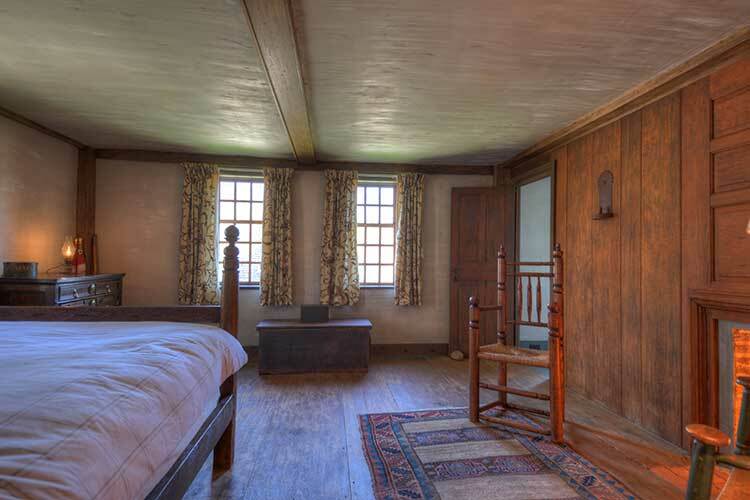 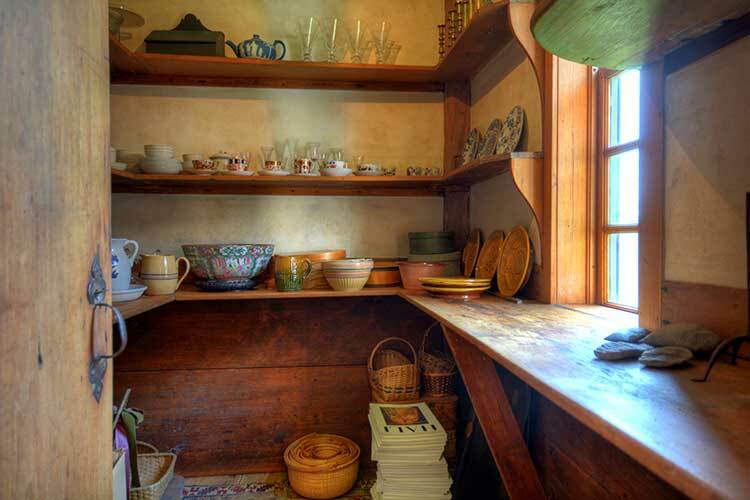 Wide pine flooring, antique doors and hardware are found throughout the interior spaces. 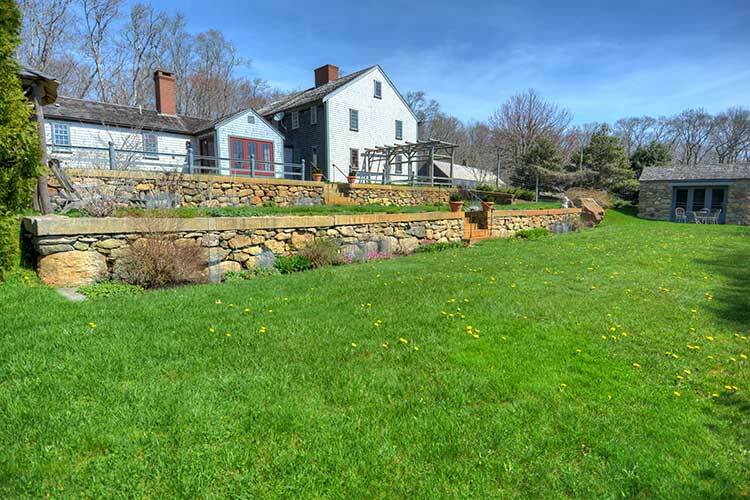 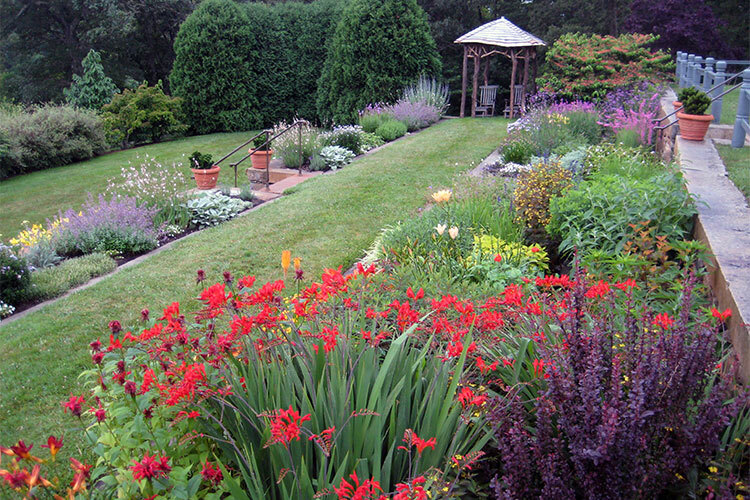 Glorious terraced gardens, inspired by noted English landscape designer, Gertrude Jekyll, a stone garden house, a fruit orchard and ancient stone walls compliment the antique homestead and provide a captivating setting. 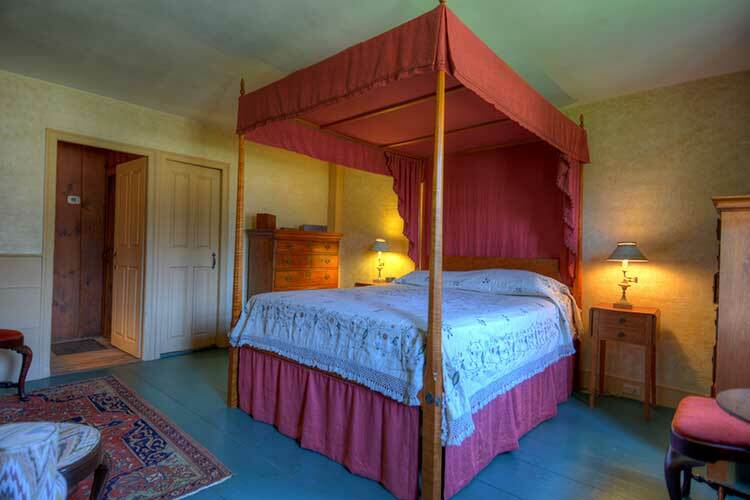 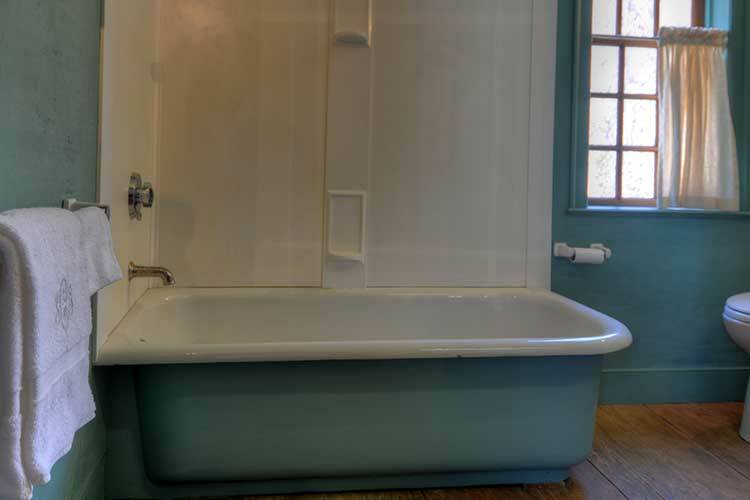 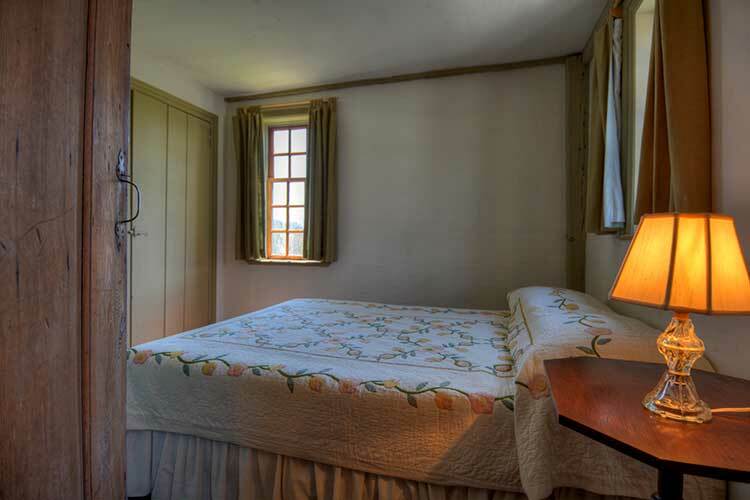 There are two outbuildings on the grounds, an 18th century barn and a 4/5 bay carriage house with bath. 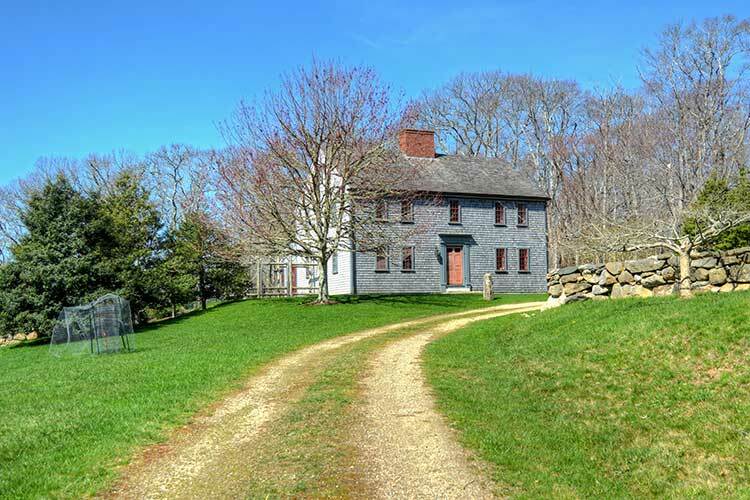 The property includes an additional abutting eight acres of farmland, surrounded by non-developable open space. 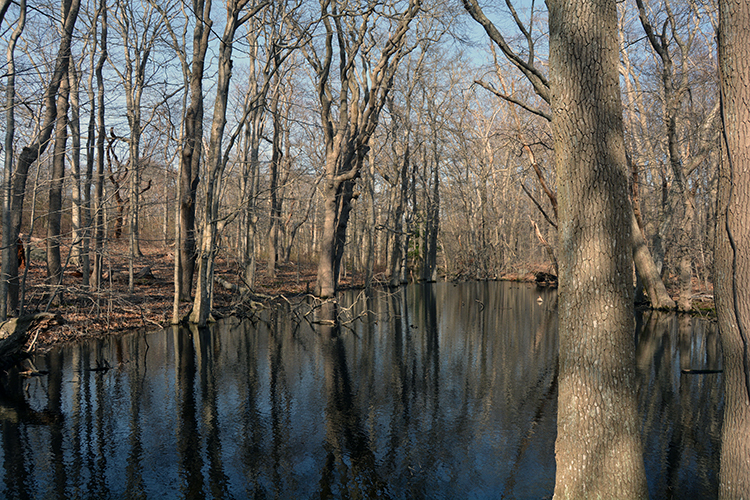 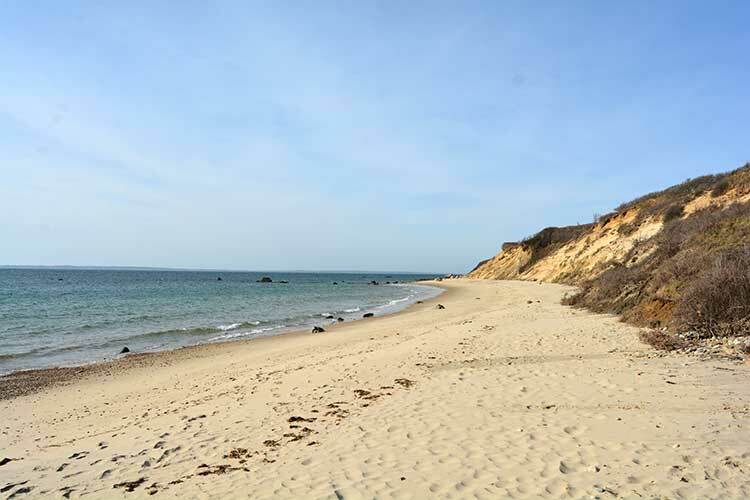 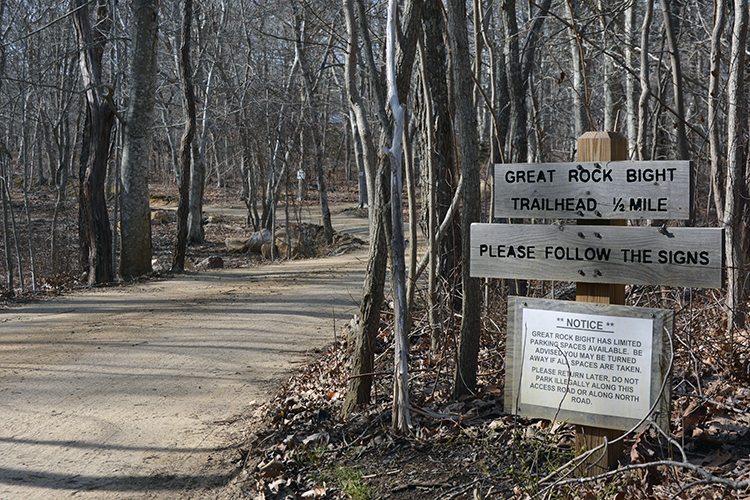 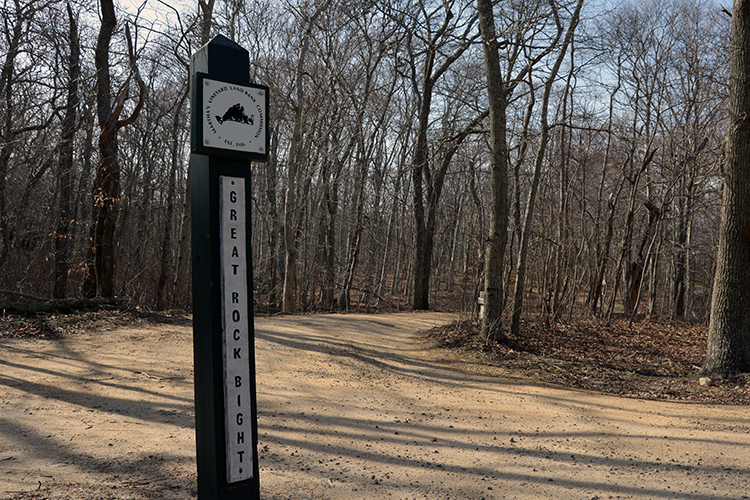 The Great Rock Bight Preserve, with miles of walking trails and sandy Vineyard Sound beach, is within walking distance from the house. 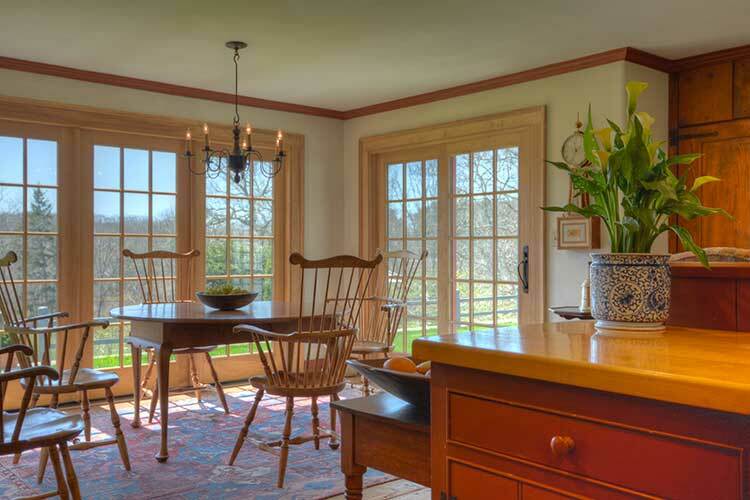 Exclusively Offered $2,595,000. 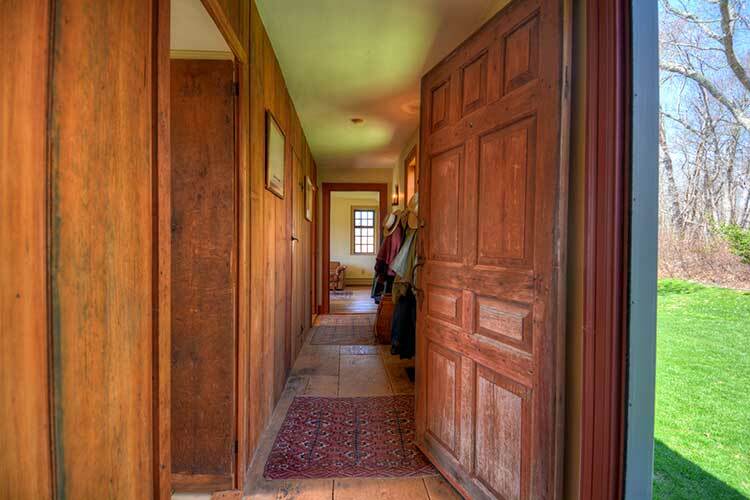 This property has sold $2,330,000.